This morning, I received a rather odd email from a firm representing LeEco offering a "news update." It didn't seem to be an update at all, just re-confirming that on November 2nd the company's products would go on sale, and that there would be stupendous-amazing-wonderful discounts on them. Such as the Le S3 smartphone, powered by a Snapdragon 652 processor, which would be just $149 ($100 off), or the Le Pro 3, which would get you a Snapdragon 821 for a staggering $299. Or its 85" 4K smart TV, discounted to just $3999. 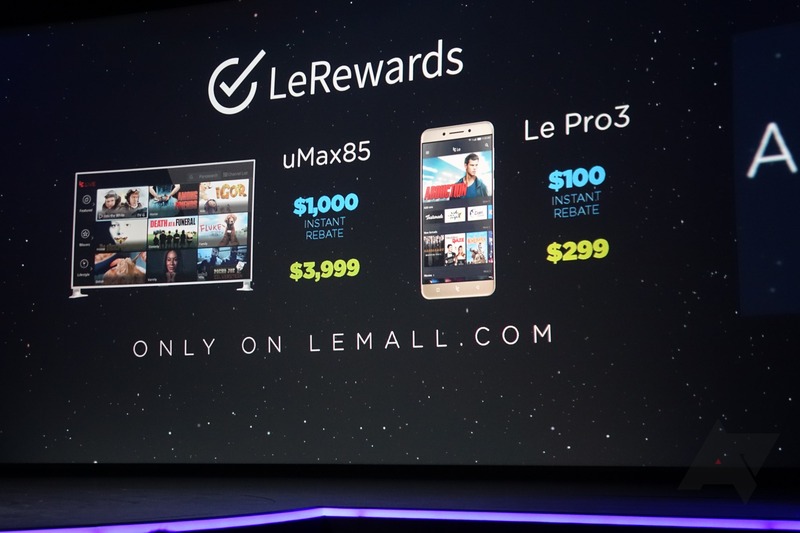 LeEco said during its press conference that the prices would be good through November, and it was all part of its UP2U and LeRewards programs - no strings attached.